No matter what email marketing software you use, what really drives your revenue is your overall business strategy. I’ve recorded a free video on the five steps to turn your readers into paying customers. If you do nothing but these five things, your business will grow. Discover the 5 things you need to convert readers into buyers. When we started our business, we had a very simple email list. Basically people would sign up, I would send them broadcast emails — meaning I wrote the emails and clicked send — and that was it. I did that until I had about 50,000 subscribers. After 50,000, I started to add little bit of automation to our email marketing. At that point, when you would sign up, you would get what’s called an autoresponder. The first email would say something like, “Welcome to my list. Here’s what you can find. Talk to you tomorrow.” And there might be three or four pre-written emails that you would get thereafter. Over time, we built our email marketing systems to be much more sophisticated. But the software we use may not be right for your business. Now, I’m going to tell you the exact companies that I would use based on the size of your business. But I want to emphasize something. 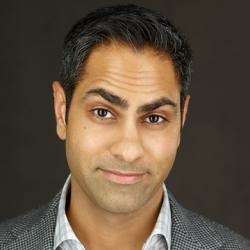 It’s the same when people ask, “Ramit, you use Infusionsoft or Responses. Shouldn’t I use it?” That’s not the right way to think about this. There is a time and a place to use a system at the beginning. And as your needs get more sophisticated, then you can upgrade your system. Okay, now to answer this question. If it were me starting off today, I would go with MailChimp or AWeber. Both of them are great and really simple to use. You type in your content, click send, and off it goes. They also have great automation systems. This way you can set up autoresponders and even customize to some extent which subscribers get which autoresponder sequences. That’s really cool! I would stick with those introductory services for as long as possible. And that is that exact same thing you should be thinking about with your automation systems. Once you switch over to a really expensive, full-featured solution, you can’t go back. So stay on the simple system for as long as you can. I would recommend staying on AWeber or MailChimp until you have 50,000 to 100,000 subscribers. At that point you can look at a solution that’s a little bit more sophisticated. The next level will be something like Infusionsoft or Ontraport — and those are very sophisticated. We have people who work full time on our Infusionsoft implementation. It gets expensive really quickly. Keep in mind that there’s a cost to being able to do more sophisticated things. I would recommend sticking with these mid-level email service providers when you have between 100,000 to about a million subscribers. You’ll be in great shape with Infusionsoft or Ontraport. Beyond that you’re really talking about the big boys. You’re talking about GetResponse, Responses, and so forth. At this stage, your business will need multiple engineers focused specifically on that email service provider. For right now, don’t get overwhelmed or caught up in obsessing about the exact number of subscribers you need to have before switching. Start with a basic email software provider and stick with it for as long as possible. If I were starting out today, I would use AWeber or MailChimp and milk those services for as long as I could.